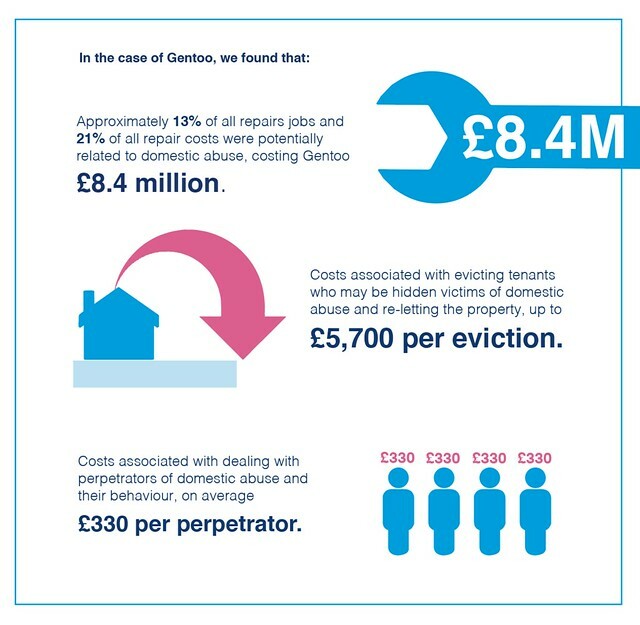 New research by SafeLives and Gentoo looks at the vital role housing providers can play in the response to domestic abuse. Every year, nearly two million people in the UK experience domestic abuse. Seven women a month are killed by a current or former partner in England and Wales. Yet thousands of victims do not get the right support at the right time, with SafeLives research showing that 85% of victims seek help five times on average before they get effective help. Given that domestic abuse is largely perpetrated at home, housing providers can play a unique role in supporting victims of abuse who are their tenants, and holding perpetrators to account. The research from SafeLives and Gentoo found that improving the housing response to domestic abuse, not only supports more victims, survivors and children, but also makes financial sense. By investing in training, housing providers can identify domestic abuse early and put safety measures in place. They can also take a proactive role in holding perpetrators to account for their actions; working with the police to hold perpetrators responsible for the damage they cause to the victims and their property, and potentially even evicting them from the home. Everyone deserves somewhere safe to call home, and we must work together to make sure that happens.